Here are some exceptionally great business management tools that can help businesses grow at a high pace. They are available online free and can be easily downloaded. Most startups do not know about them so here is the article to address the free tools. When an entrepreneur is looking for business ideas, they want to come up with the best ideas that has ever came across human mind. They are being very thoughtful and go through extensive discussions with relevant people, conduct researches, take expert advises, and do whatever they can do to refine their idea and make it more effective. However, putting this much thought to the business idea is not the key to establish a successful business and in all honesty, the business idea becomes something of secondary importance when it comes to practically running a business. 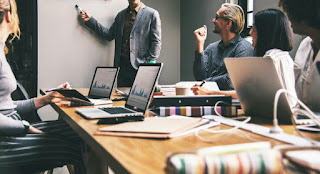 Nobody can deny the fact that the uniqueness and usefulness of a business idea influences the business progress, however, it is not as important as it is considered usually. What plays a more significant role in establishing a business is how it is managed. A business that is managed well succeeds even if the idea is common and mediocre. The smart management knows how to drive the company in the right direction to accomplish the business goals. You must have come across businesses that started well and did well for a year or so and then gradually faded into dust. That is because they were based on great ideas but they were not managed appropriately. Smart management is the key to make a business progress and one of the great ways to manage a business smartly is to avail all the benefits that the technology offers. There are a number of exceptionally great business management tools that can help businesses grow at a high pace. They are available online free and can be easily downloaded. Most startups do not know about them so here is the article to address the free tools. Businesses need to keep a track of their customers in order to build better customer relationships in future and convert the one-time sells into permanent ones. Customer Relationship Management (CRM) is the tool that makes it easier for the companies to keep track of their clients. It stores all the basic information like the identity, contact, purchasing history, and other necessary details. Apptivo CRM is one of the free available resources on the internet that businesses with low investment can opt for. Businesses need tools that will allow them to communicate with the team effectively. Internal communication is one of the essential needs of businesses and they are not limited to talks and discussions. Different departments need to follow through the progresses of other departments to function smoothly and the data resources are needed to be shared frequently as well. The tools that can help in this regards are countless. For instance, businesses can use Trello if they need to keep the entire team updated about different clients, projects, files, and documents. The software can make the collaboration much easier for the team and the manager can keep an eye on everything effectively. The list includes Slack, Flock, and Podio as well. The businesses these days have to manage marketing on the digital platform that demands intelligence, time, and a lot of work as well. This is why using right tools for handling this job can make a significant difference in the amount of work that the managers have to do. There are a good variety of marketing tools that is available on the internet to help new as well as old businesses in managing the mess of digital marketing. These tools can help businesses maintain a consistent presence on different social media platforms, respond automatically to messages and mails, keep a track of website traffic, SEO enhancement, and so on. Social Mention, TweetDeck, Buffer, Google Alerts, Similar Web, and Google Trends are one of the useful free sites. Furthermore, businesses can choose to register themselves on different B2B sites that provide with more market exposure without needing them to put too much effort into management. B2B sites support all types of businesses and so, even if you simply export something related to household, kitchenware, or any such fields; you can use these platforms for easier marketing with more profits. In fact these sites can help you find dealers and suppliers for anything you want from wholesale equipment to common needs such as silicone spatula wholesale. Accounting is a messy business specially if the business is doing well and there is too much data to handle. However, free technological tools can offer a lot of help to make the job easier. The tools can keep the records in a well-managed manner and assist you make correct decisions in the future by providing you easy access to accounting data. ZipBook, Money Manager Ex, Wave, and QuickFile are one of the good options that are available free. These are the few most needed tools that a startup may need. Other than this, the businesses can opt to find tools that are designed specifically for their particular business type. Such apps.